R 7 600 per person based on a minimum of 2 Clients. 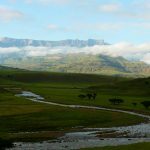 The majestic, mostly untouched mountain range, the Drakensberg will be the main focus of this tour. 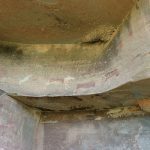 We will be visiting sites of San-Bushman Rock Art, some of which date back 28000 years. 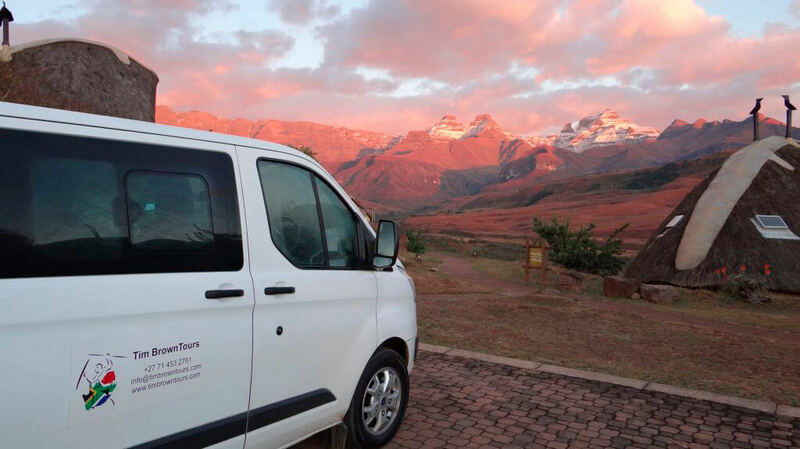 The hikes can be tailored to fit fitness levels and needs and at the Royal Natal National Park, there are wheelchair friendly strolls to the beautiful cascades. 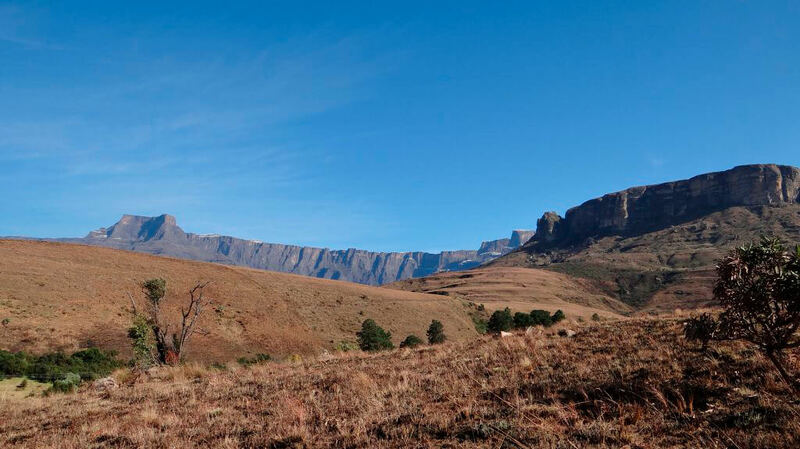 ✓ Walking in the Drakensberg mountains with nature all around you is incredibly peaceful. 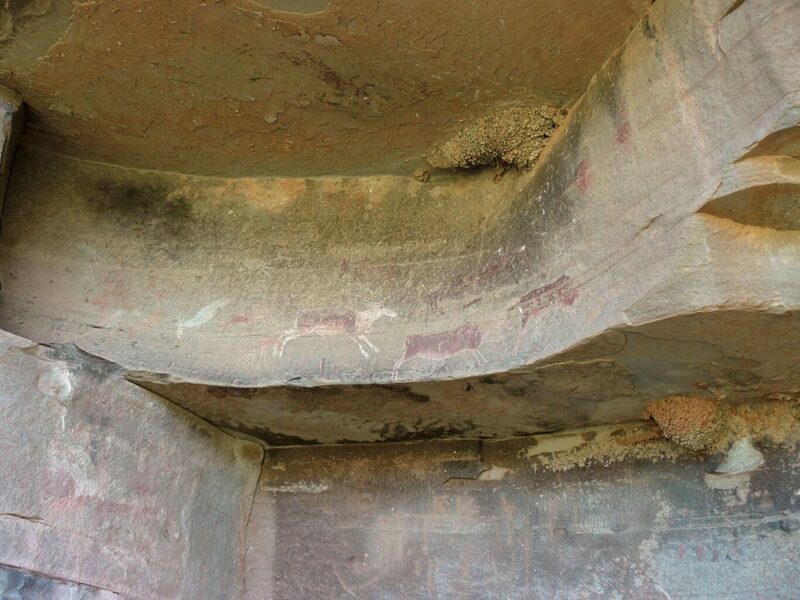 ✓ Learning about the original South Africans and looking at their Rock Art paintings. 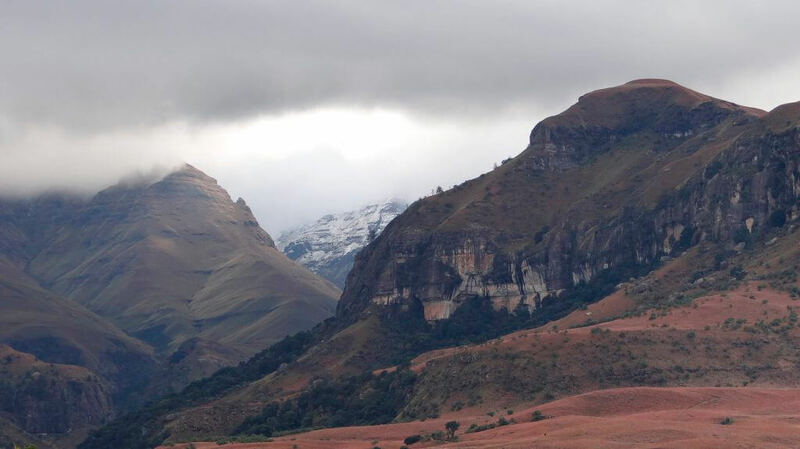 ✓ Enjoying the majestic Drakensberg mountains which are over 3500 meters / 11500 feet high. 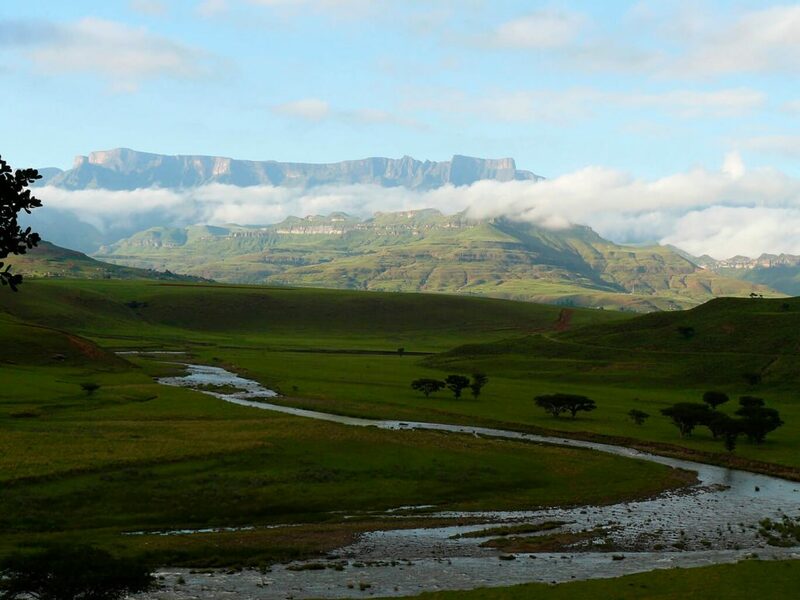 The drive to the Drakensberg is about 3 hours through some of the most picturesque countryside in South Africa! To speed things along, your knowledgeable guide will share on the history of South Africa, the different population groups and how they all came to be here. You are encouraged to ask questions to reap the full benefit of the tour. 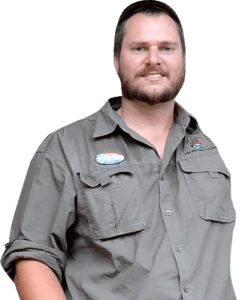 Rest assured that you will travel in absolute comfort as Tim Brown Tours use a Toyota Fortuner or a Ford Everest to conduct all tours. This is subject to availability and Tim Brown Tours reserves the right to make alternative vehicle arrangements. 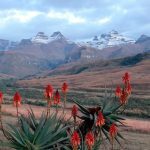 Once we are closer to the Drakensberg Mountain Range, your guide will educate you on the history of the area and speak more on the San-Bushmen who lived in these mountains more than 30 000 years ago. 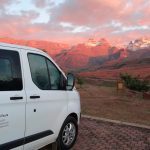 Upon arrival at the Central Drakensberg, where peaks are 3315 meters high, we will stop for lunch and check you into the lovely lodge. Here all rooms are equipped with a fireplace and set in the majestic Mountain! 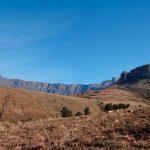 After you have settled, your guide will take you on a gentle hike for a couple of hours to the Min Cave which has a beautiful cliff overhand where the San-Bushmen have slept during the cold winter nights in the Drakensberg. The cave has now been turned into a Museum after excavations have uncovered artefacts dating back thousands of years. Please note that hikes can be adjusted to the client’s needs and fitness levels. Upon our return, we will have some time to rest before a lovely dinner in the restaurant. After dinner, it is time to retire where you can enjoy your fireplace and a bottle of wine. 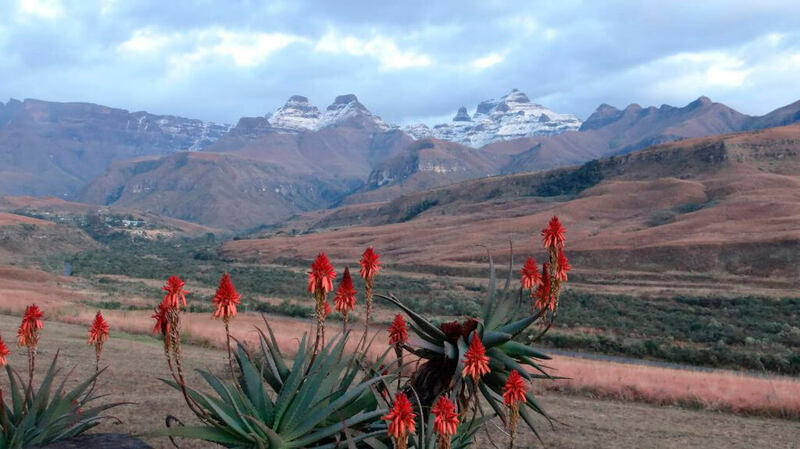 The starts in the Drakensberg are amazing! 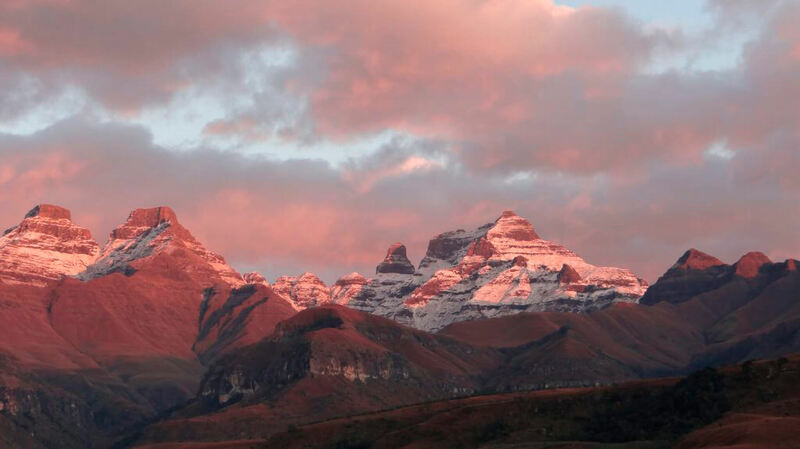 We wake up with the majestic Drakensberg around us. 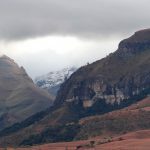 After breakfast, we visit the Northern Drakensberg and Royal Natal National Park which is about a 1 to 1.5-hour drive. 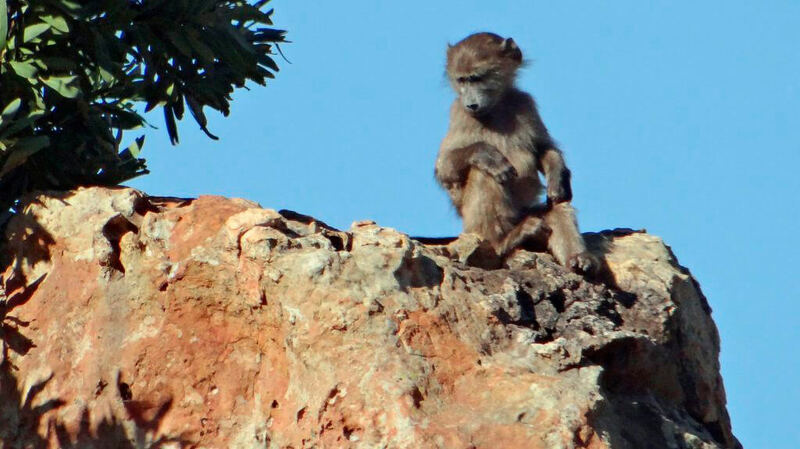 Here we will take a hike up to some 800-year-old San-Bushman paintings which is roughly a 45-minute round trip. After this, we will embark on a 2.5 to 3-hour hike in the Royal Natal National Park before we have some lunch in the area. Please note that the hike can be adjusted to the client’s needs and fitness level. 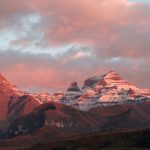 We will return in the late afternoon and spend time enjoying the lodge and stunning views of the Drakensberg Mountain range. Dinner will be served in the early evening where after, the warmth of your room’s fire and a view of the stars will keep you mesmerised till morning. Before checking out, we will enjoy our last breakfast, well deserved after all the hiking. We will then make our way towards the Midlands Meandor. 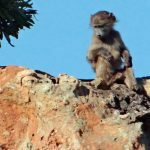 We will visit the Nelson Mandela Capture site and Museum on route as well as Howick falls, a 100-meter-high waterfall situated in the quaint little village of Howick. Before departing for Durban, you will have a chance to peruse the antique shops and have lunch in the village, and then it’s back to Durban. The expected arrival time in Durban is 4pm to 5pm but this can be adjusted to your needs. Africa’s highest mountain range south of Kilimanjaro, and the largest and most concentrated series of rock art paintings in Africa – making it a World Heritage site of both natural and cultural significance Both the Zulu name uKhahlamba (barrier of spears) and the Afrikaans name Drakensberg (dragon mountain) fit the formidable horizon created by the range situated just outside Durban, KwaZulu-Natal. 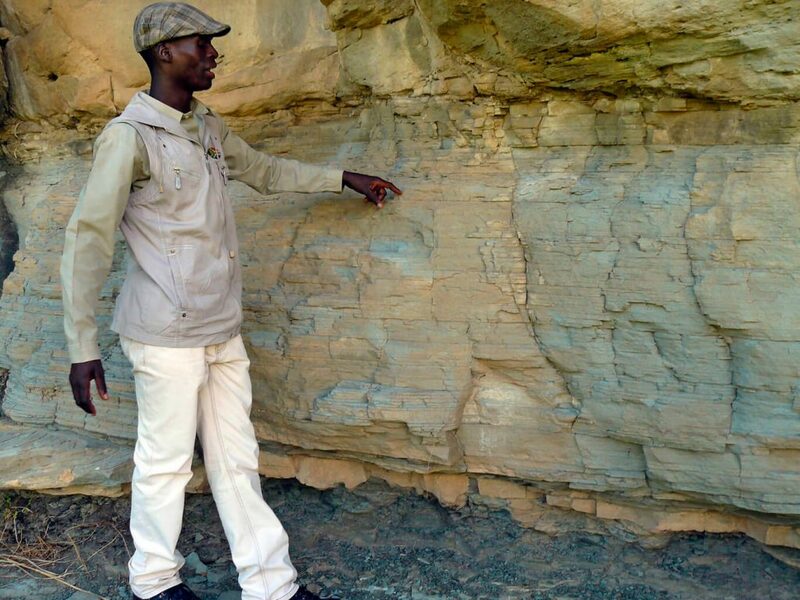 A massive basaltic cap set on a broad base of sedimentary rocks belonging to the Stormberg series of 150 million years ago, the mountains are South Africa’s main watershed. All prices are based on a per person sharing basis. Note that your tour is not private and you may be expected to share the experience with another group unless you specifically request a private tour. 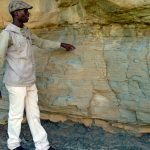 There is an additional fee for private tours and for the three-day tours, this amount is R6,000.00 over and above the tour price. Should there be a party in your group requiring their own accommodation (not sharing the two-sleeper chalet), a single supplement fee of R950.00 will be charged over and above the tour rate. Furthermore, please note that all group activities are not private and you will be expected to share this experience with other paying guests not touring with Tim Brown Tours.